For the past several years I thought that I was done with writing poems, and that I no longer had anything to say. Then, suddenly, in the spring of 2010, while in Italy, I started to write short prose pieces, some of which seemed like poems, but others clearly did not. The differences between them did not matter. What did matter was that I enjoyed writing them. It was important that I believed I was writing prose, since it seemed to free me from an increasingly narrow vision of what I thought my poems should be. So Mark Strand describes the twenty-three prose pieces that make up Nocturnes. 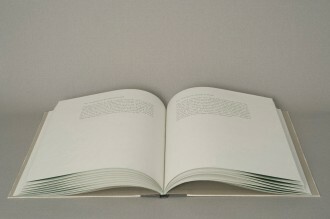 The text is set in Strand Serif, a type I designed specifically for the book, and printed in two colors on Gifu paper. 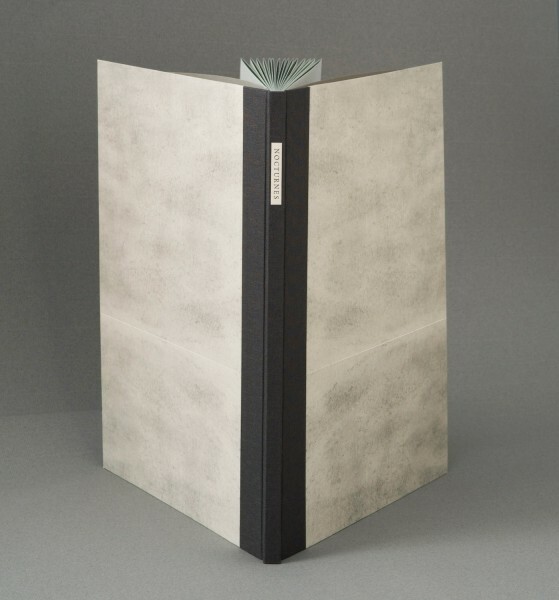 Bound by Craig Jensen in a manner that conceals an inner darkness.